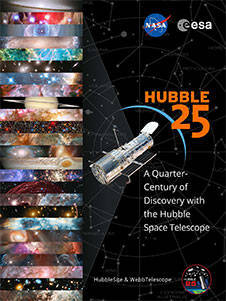 In celebration of the Hubble Space Telescope's 25th anniversary, explore 25 of Hubble's breathtaking and significant images. From planets in our own solar system to snapshots from a time when our universe was very young, these images are presented according to their distance from Earth, from near to far. Along with companion descriptions and videos, the 25 images highlight the telescope's amazing capabilities.